The 3562 A shows a fault code, is on the A2 (SYSTEM CPU/HPIB) error code 19, which means Monitor RAM Test Multiple Monitor RAM failures. All voltages checked, and they are OK, the ripple is OK and the clocks are OK too. Everything was OK, no smoke, but I still had to solve two issues. First of all I guessed that this issue was coming from non-working A2 (CPU) but installing the test jumper to get the test screen did not work. Measured the voltages on top of the HP 1345A. These did not show any issues (no shortened tantalum capacitor) on +5V/+15V/-15V. Checked a few more voltages but not the +105V. So I removed the HP 1345A unit to do a visual inspection and noticed the defect on the A3 board (Low Voltage Power Supply). Q1/Q2 did not look so good. For sure without +105V we do not get any picture from the HP 1345A. I removed the faulty Q1/Q2 and solder some test cables for +5V/+15V/-15V/+105V to A3 to power the assembly from an external power supply. Lucky me, no other defect and the test picture came up. I decide to order SG3524 (pulse-width-modulator), MJE180, and all capacitors of the A3 to replace them all. 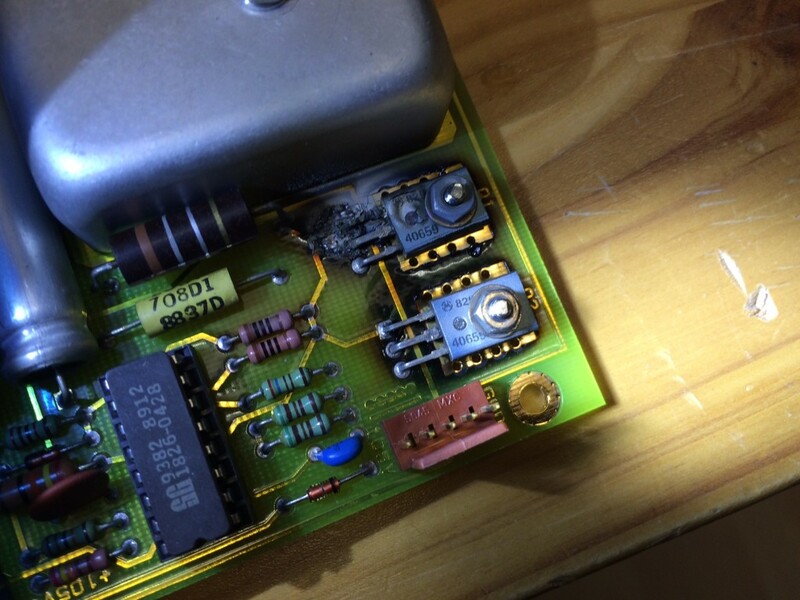 After the rework on A3 I carefully powered up the +15V supply which is used for the DC/DC converter to generate the +105V and measured the current. No issue seen anymore, the +105V is working. I added a 2.7k resistor to create a nominal load (approx. 37mA) on the +105V path to adjust the +105V. Just to know what was causing the burned Q1/Q2 I swapped the new SG3524 with the original one and I see that the current was increasing like hell when slowly increase the +15V voltage. So I guess the major problem was a defect SG3524 here. After installing the now working HP 1345A back into the HP 3562A I got a bit more detailed information about the A2 problem. board causing this issue and I really can focus on the A2 board. First I checked all signals on the two 32kx8 SRAMS (U212/U211) with a scope but I did not see anything defect, everything looked so far good (no shorts, activity on all signals, etc). So I attached my nice Philips logic analyzer. 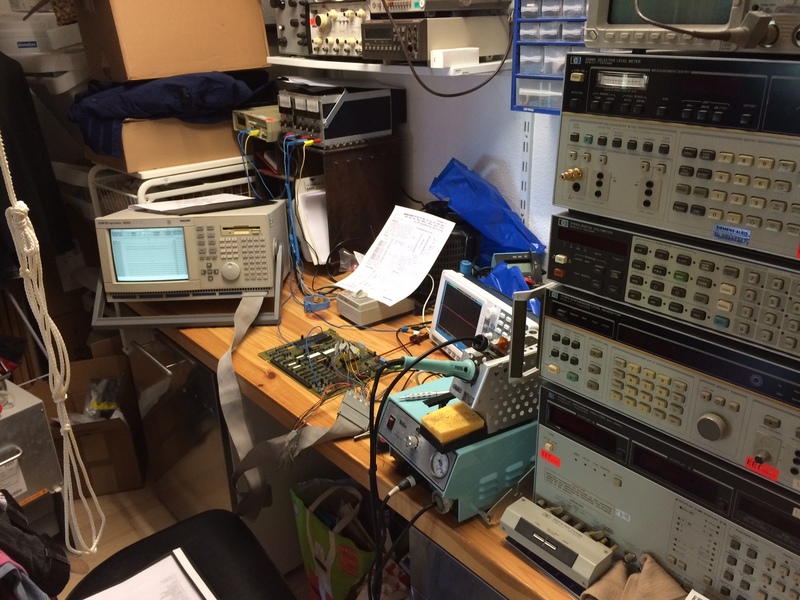 Playing a bit with the logic analyzer, but did not get any more results so I believed what the monitor test logs said and replaced the low byte SRAM (U211) with a new one (ordered 70ns ones from Mouser). HP 3562A cabinet (and crossing fingers!!!!!). With the changed SRAM, my HP3562A boots up without any other errors and issues and is ready to be used again! 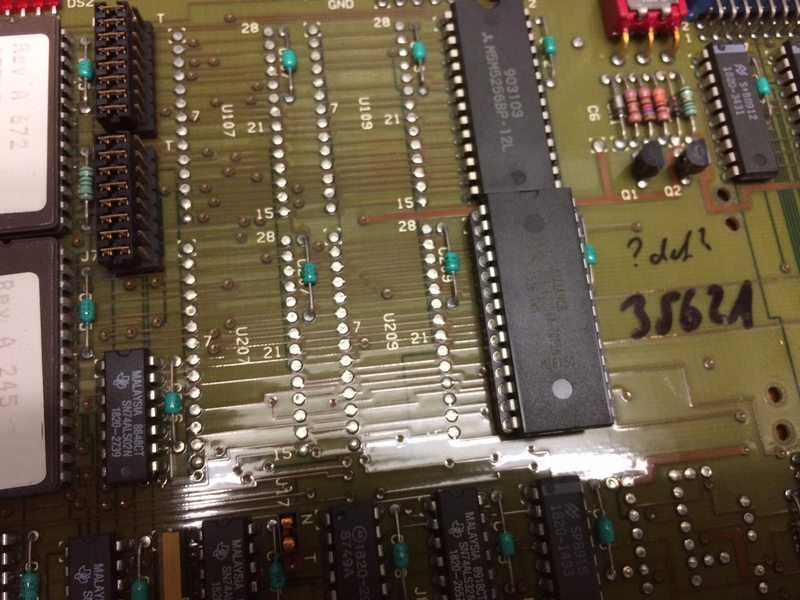 Yet, another job related to the 3562A, same machine that also had the ROM board defect. This unit also has a weak display, and I have been asked to check replacement-repair options. After a brief search, there aren’t any spare CRTs around, for the 1345A display used in the 3562A. The last good ones might have been purchased-stockpiled some years ago, by corporation that need to keep equipment going. Well, fair enough. 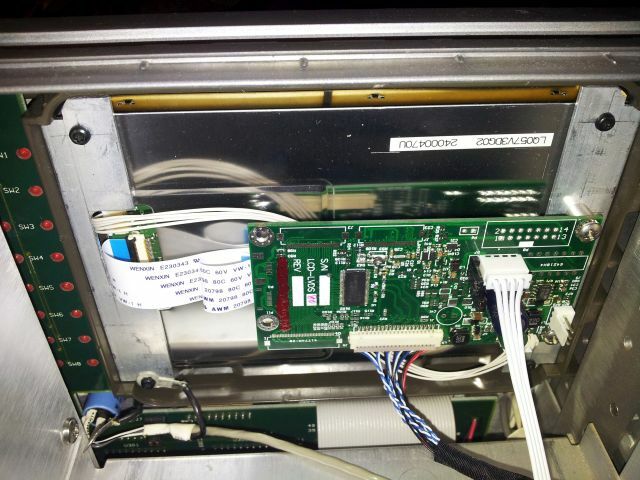 Luckily, failed CRTs and their limitations are a common feature of dated test equipment. 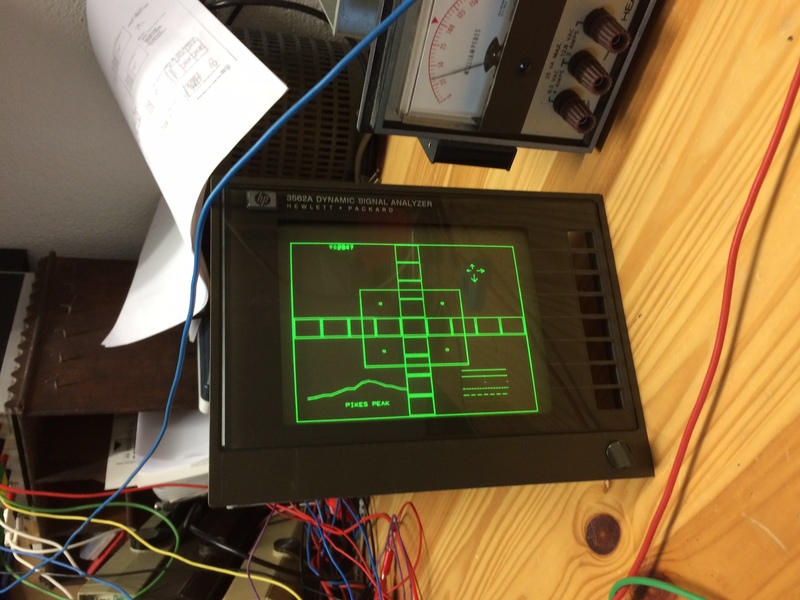 So other have already invested time and effort to provide a solution: the LCD retrofit. (1) Many clients have proprietary-custom software running certain automated tests, using certain types and specs of test equipment. The final product specs have often been agreed upon with the OEM, in contracts that are a big hazzle to change. Some of these products, in fact, most, have long service life, so the test rig needs to be kept alive, more or less, at any cost. (2) Cost – well, new test gear of the proper kind is outrageously expensive. Not taking about plain stuff here, but powerful equipment, network analyzers, spectrum analyzers. (3) Servicabilty: talking about smaller businesses, not big corporation, often it is quite handy to stick with somewhat dated analyzers etc, because they are perfectly up for the task, the operators are trained, both in using and serviceing them, and often, spare units-parts units are around and can be procured at a fraction of the cost of repair of new equipment. (4) Quality. Arguably, and except for new digital signal-fast scope stuff, the instruments build in the late 80s and early 90s might be the best ever build. Most of them have specs and typical performance far above what most regular quality can provide nowadays. The reason is simple, in the 80s, these rigs were build for the military and related agencies as the key target market. 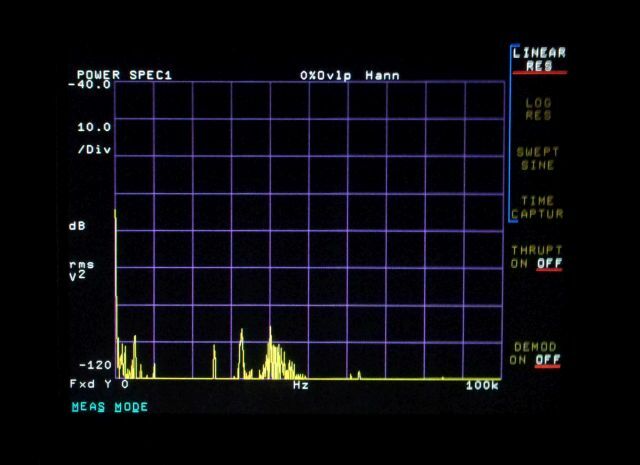 Nowadays, for consumer electronics, consumer communications… One exemple: the HP 8566B spectrum analyzer. Not sure about the price of such equipment nowadays, if build new – certainly 6 digits. On xbay, they go for about few cents per USD list 1985 list price… and be assured, no big deal to get them working in-spec. USD 400. Not bad. This includes display. LVDS driver. And certainly, the controller board, to adapt the display to the 3562A. I can tell you, such retrofit is worth every dollar. If you have any of the CRT analyzer with the screen gettin dimmer. Don’t hurt your eyes. A quick glance at it – it’s great to work with it – color display, rather than dim green display. The color settings work fine for the most part – there are some little bugs in the NewScope-5, related to the text color, in some menues (first character has different color). However, this has really no impact on the great advantage of such LCD retrofit. 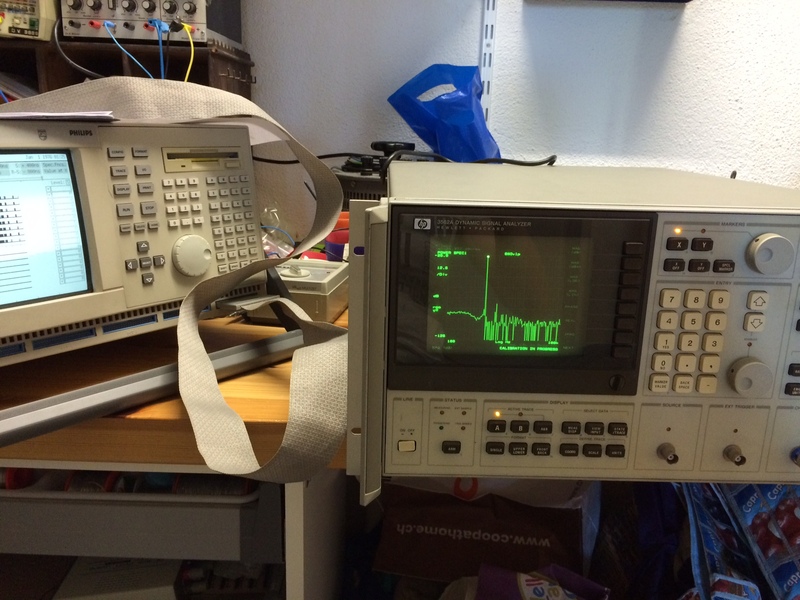 3562A Dynamic Signal Analyzer: EROMS fixed, finally! (1) A bug in the AVR eprom reader software, specifically written to read the 3562A rom board (and similar boards, or other instruments – software always needs some adaption). One of the address lines was not toggled-ended up with corrupted data read from the “good” rom board. Learning for today: always check the EPROM data read for validity, by checking for repeat patters, and by reviewing all the byte values. There should be at least a few 0xff values, otherwise, one of the data bus lines may be broken. (2) Turns out, there are two versions even of the Rev B rom board, same part number, but eproms U118 and U218 that have the checksums are different. So, needed to desolder these two as well, and replace with the updated version from the working board. 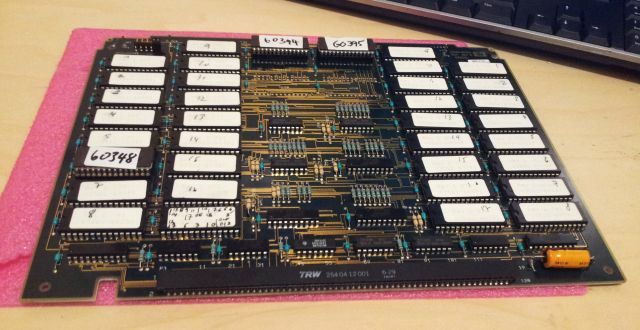 (3) With all this, my eprom programmer, the only one I have that can handle 27256 EPROM had a defective jumper! No contact on one of the address lines…. The replaced EPROMs are now in sockets – just in case, should they ever fail again. Just in case you have to do a similar job – here are the EPROM images. Keep in mind, Rev B, 36x 27256 EPROM (sure, you can also use 27C256). 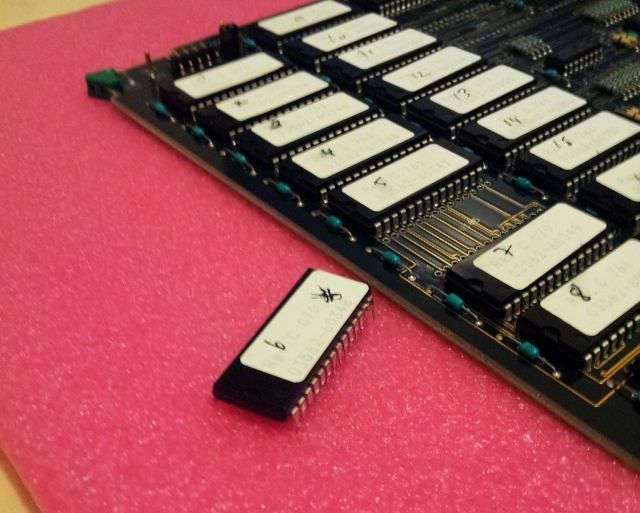 Note – just discovered, someone is offering a spare 3562A ROM board for about USD 100 on xbay…. well, well, but in the end, better a thorough repair, with all EPROM images captured, than just switching some board! Somehow, all 3562As in the Greater New York City Area seem to fail these days… This one arrived completely dead. 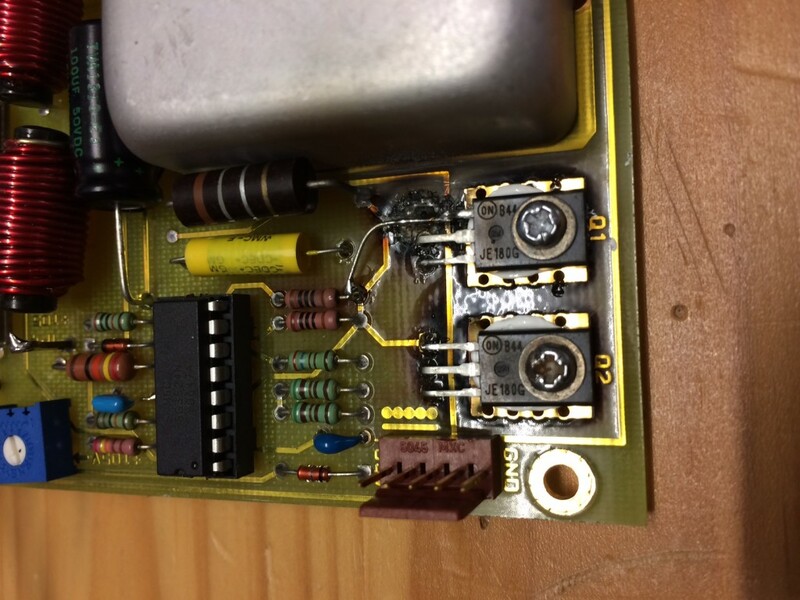 Didn’t take a long time to find the issue – a defective A18 power supply assembly. 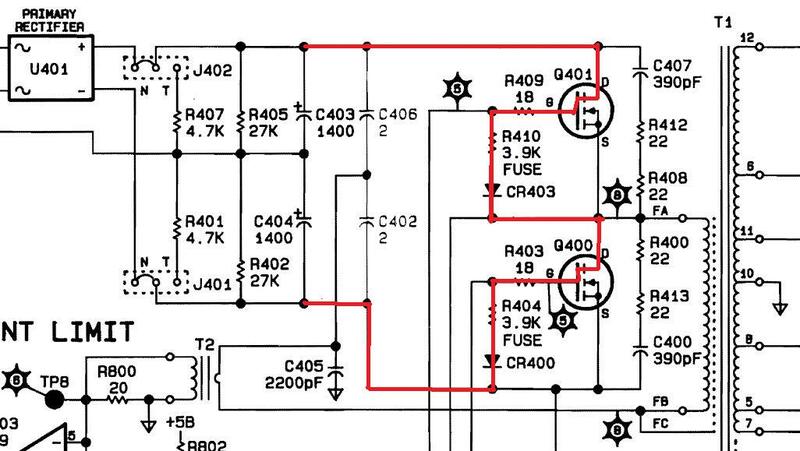 This power supply design can only be recommended to anyone interested in electronics. 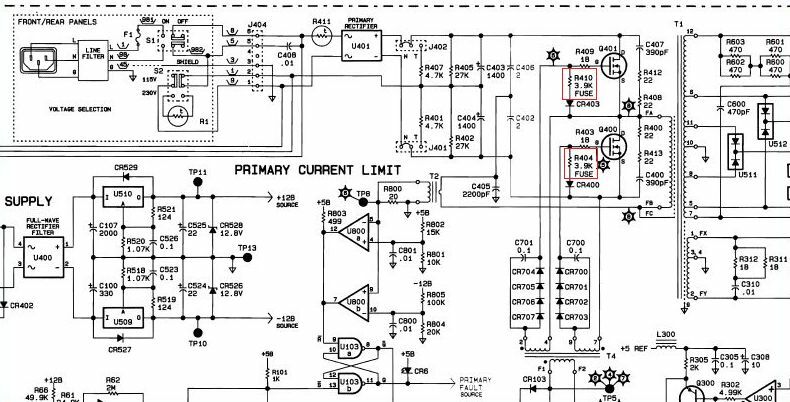 It is build with multiple controls, overcurrent, overvoltage protection, and build quality-robustness is not far from being able to power life support devices, or moon landing vehicles from from. Still, this one had failed. A quick look at the board revealed two blown resistors. Framed red in this snipplet of the schematic. However, these are the gate drive resistors – there must be a reason why they failed, and this reason was quickly found in the MOSFETs, Q400, Q401, HP part number 1855-0473. Looking around, no real equivalent found in the HP cross reference table. However, an IRF450 (500 V, 12 A, 150 W) appears suitable, and 4 pieces (2 spare, just in case) were easily sourced. The resistors, R404 and R410, are of more concern. CMF60-64 type. 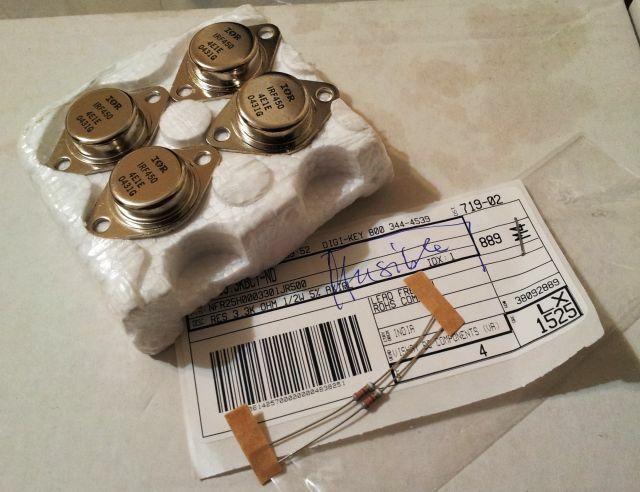 These are 0.5 W resistor fuses (fusible resistors). In contrast to other resistors that can easily start a fire and develop a short when overloaded, these go open circuit, and are flameproof. Unfortunately, a value of 3k9 seems impossible to source in any reasonable quantity – but 3k3 should work perfectly fine. Digikey offers the Vishay NFR25H series, also 0.5 Watts. Note – why did HP use a fusible resistor? Why not replace with a regular resistor? Please, never even consider it, unless you it’s a client that doesn’t pay the bill… it’s a serious risk of fire, and it is not just a bodge but an unacceptable safety hazard. Didn’t take long to replace the IRF450s and the two resistors – and, to everyone’s full satisfaction, the 3562A powers up, no issue. Not sure what caused the defect in the first place – maybe some overvoltage in the power line? We might never find out. 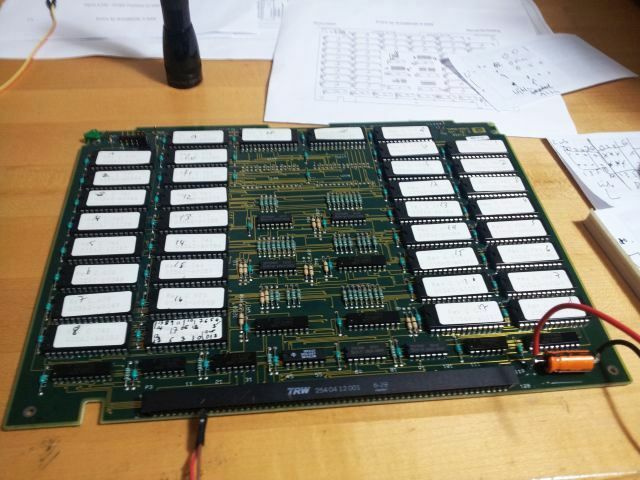 3562A repair: 32 kbyte of bad EPROM data…. Using the little AVRmega32L board, and the various plugs and cables, the two ROM boards (one good, one bad) were read, and all images of the ROMs compared. And, finally, the 6th EPROM of the lower byte – U106, only reads 0x00. That’s not how it is supposed to be. Also, after leaving the board switched on, U106 is warming up, much more than the others. So it is definitely at fault. After some careful desoldering, the culprit was extracted. Cross checked the analysis with a regular EPROM programmer, and in fact, it is not working at all. Well, well. Now, just need to get a 27256 or 27c256, and this will fix the 3562A, and it can go back into service (imagine, this unit is still commercially used). Fair enough. I happen to have a 3562A for repair, which had a defective power supply, and after fixing this, it still doesn’t work – traced the error to the ROM board. It is really a coincidence that I own a more or less identical unit, which is working. Therefore, after checking all the supply rails to make sure nothing is going to damage it, I swapped out the ROM board with the working unit, and, there we go, it does the trick. Now, how to find the defect? – first, a quick check of all the address logic, to no avail. These chips are representing 589814 words of data (16 bit bus): a massive 1.179648 Megabytes, holding the program for the 3562a. To get it powered up, first surprise, the thing draws nearly 2 Amps, about 55 mA each. Checked with the datasheet – and in fact that’s what these little heaters need. 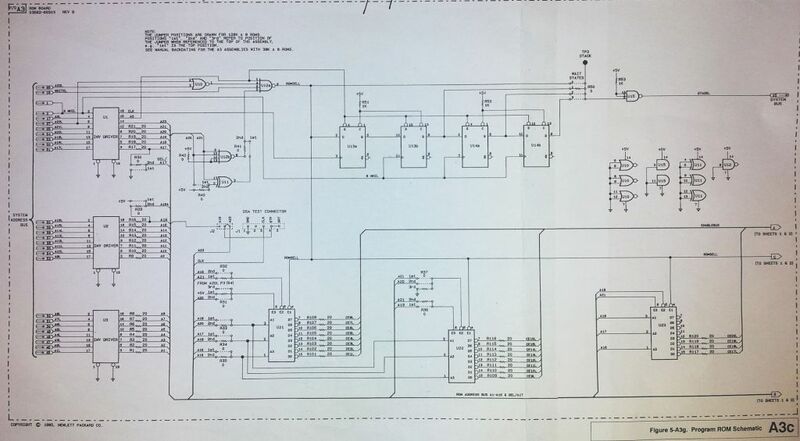 Checking with the schematic, seems that this is an earlier version of the board, Revision B. That’s a pitty, because Rev C is much more common, and ROM images would be available off the web. Judging from the datecodes, manufactured in 1986. Still, a great instrument, low noise, build in source, and easy to use. 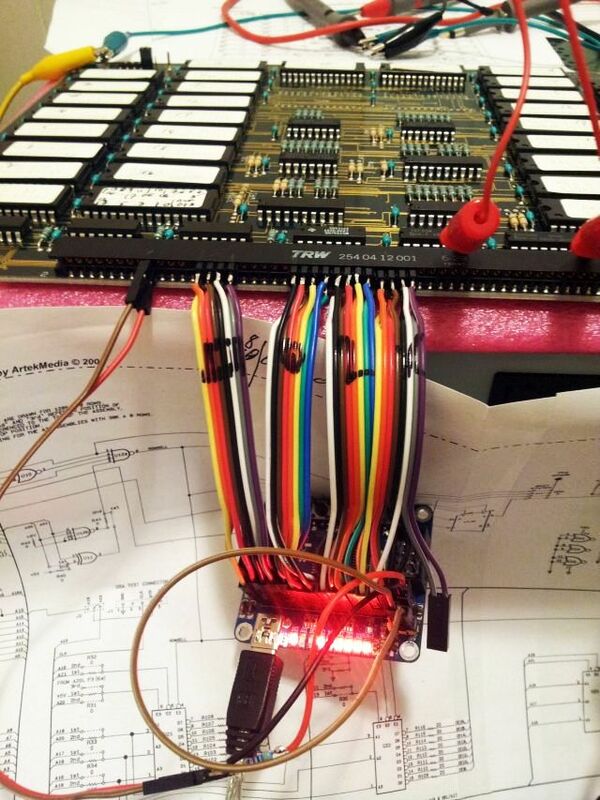 The circit of the board is really nothing special, a few decoders, and the memory bank, with some bus drivers. (1) Read out the bad board (reading data from this first, just in case I accidentially damage something). (2) Read the working board. (3) Compare the EPROM images from both boards. (4) Replace any defective EPROM(s). The ones installed are single time programmable, plastic case, but not an issue at all to replace them with regular UV-erasable EPROMs, if needed. Now it is just a matter of time, for the defective chip to show up.